Metal Gear Solid V: Ground Zeroes will follow in the footsteps of the likes of Battlefield 4 and Assassin’s Creed IV by allowing users to upgrade PS3 versions to their PS4 counterparts, according to the game’s official Japanese site. The upgrade essentially has you download the PS4 version of the game for a discounted price, usually an additional $10 or so, but will still require the PS3 disc to play. 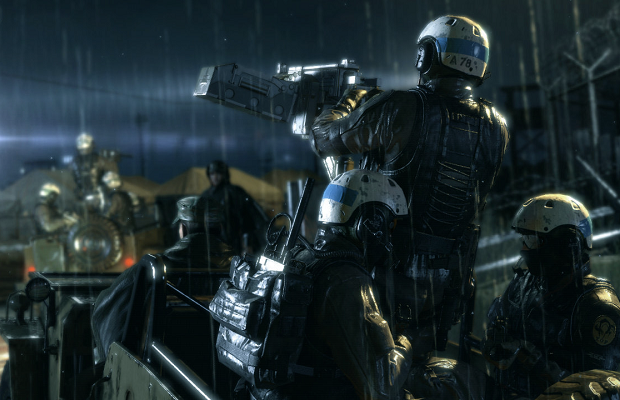 Ground Zeroes is scheduled to hit the PS3, PS4, 360 and Xbox One sometime in Q2 of 2014. There’s no word yet if the upgrade system will carry over to the Xbox One.